Largest membership of women golf professionals in the world set to benefit from opportunity to specialize in putting instruction. 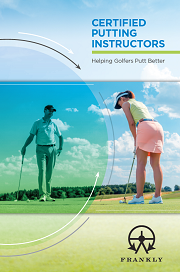 The Ladies Professional Golf Association would like to announce that Frankly Golf will be an Approved Education Provider for the LPGA Teaching and Club Professional Membership. 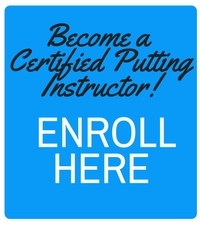 Under the direction of renowned golf innovator Frank Thomas, Frankly Golf will deliver the online Certified Putting Instructor (CPI) Course. Frank Thomas joined Nancy Henderson in introducing the partnership. “I am very proud that the LPGA has joined Frankly Golf in a journey to a better understanding of the Science of Putting. The LPGA members are innovators in learning and teaching, and through this partnership they will remain on the leading edge of knowledge in this most important part of the game,” said Thomas, co-founder of Frankly Golf.